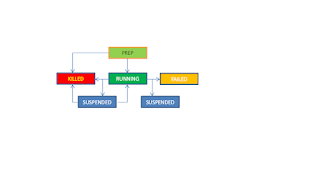 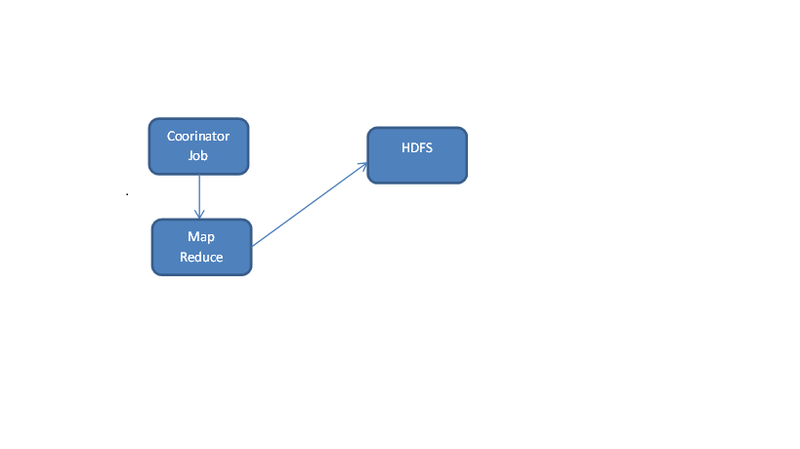 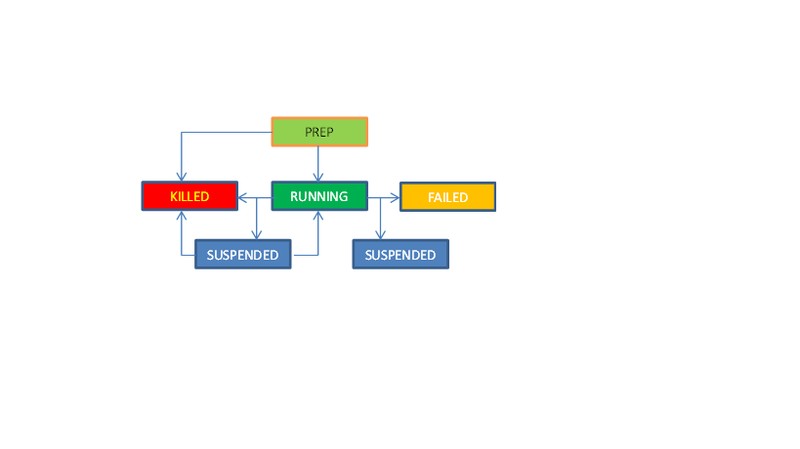 This Post will having the details to create stored procedure in oracle and parsing the clob data through stored procedure. 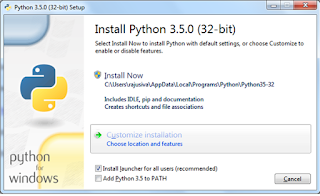 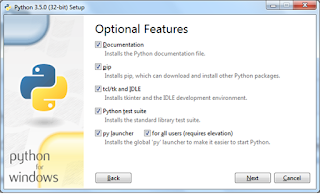 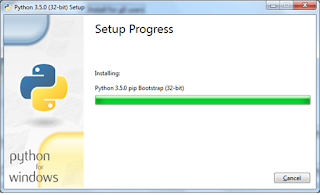 Step1: Download latest Python from the python site. 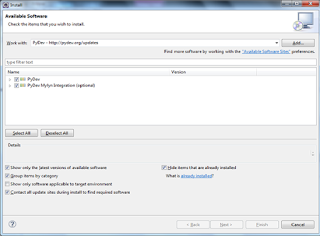 Step 3: While installing , you need to check the both check box. 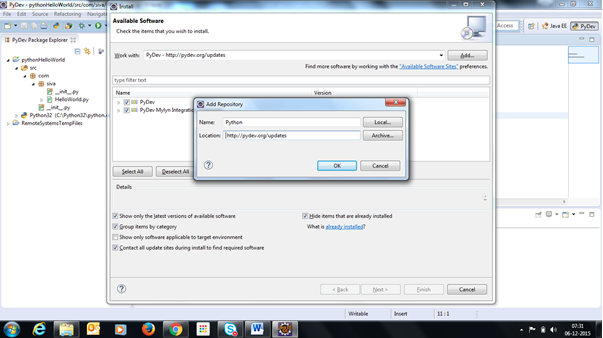 Step 4: Click the Customize installation, . 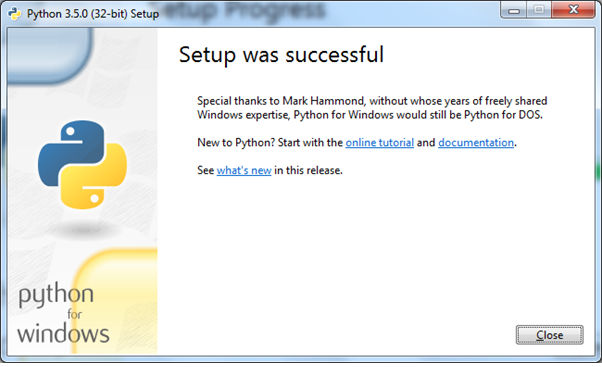 Step 7: Python installed successfully on your machine. 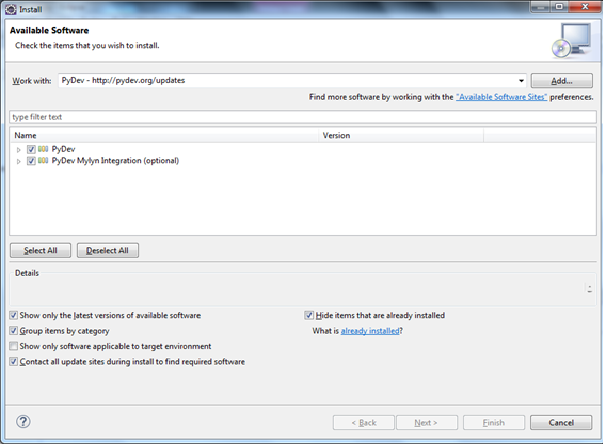 Step 8: Now we need to download eclipse latest version for windows from this link. Step 9 : unzip the downloaded eclipse. 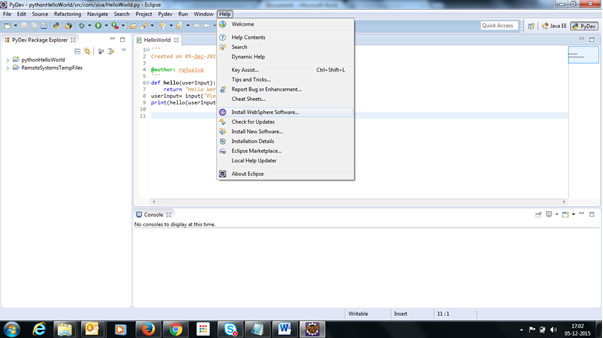 Step 12: Provide http://pydev.org/updates as mentioned below screenshot select all checkboxes, then click finish. 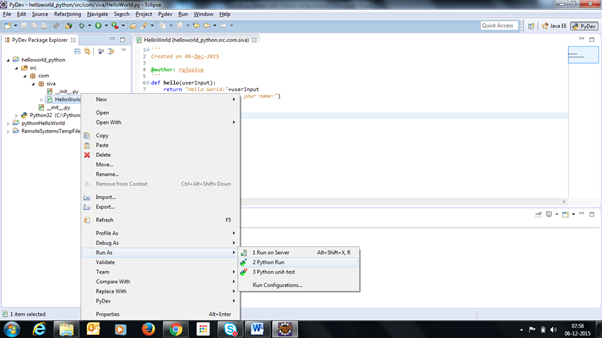 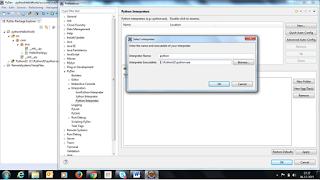 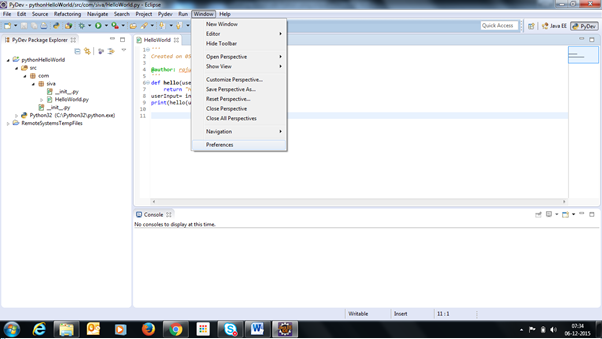 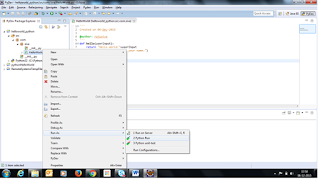 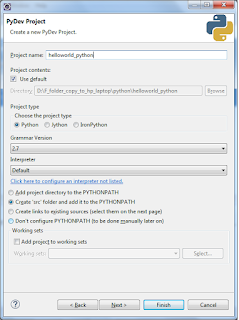 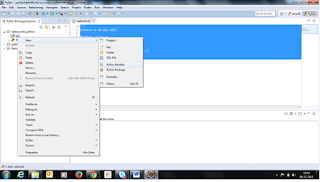 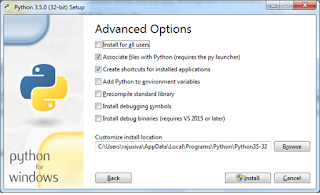 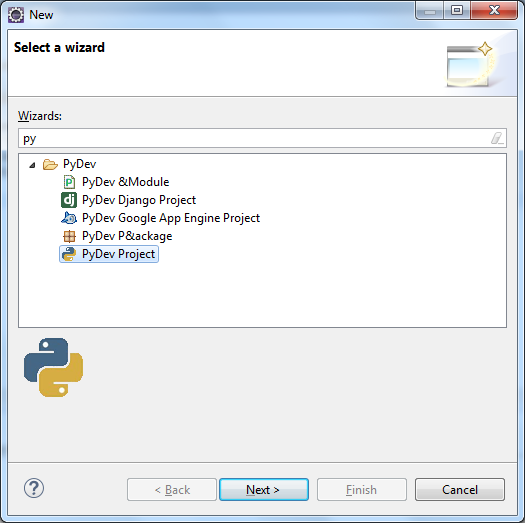 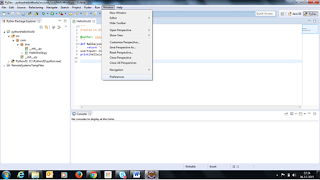 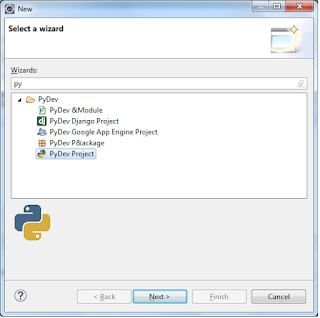 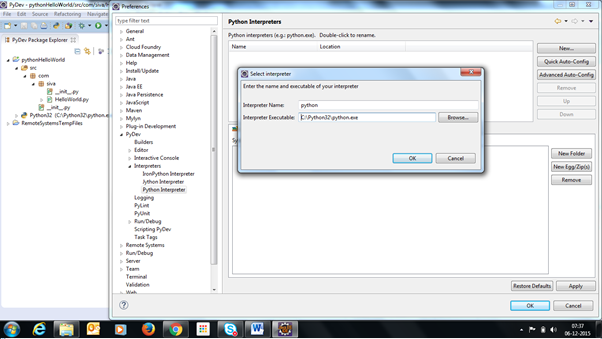 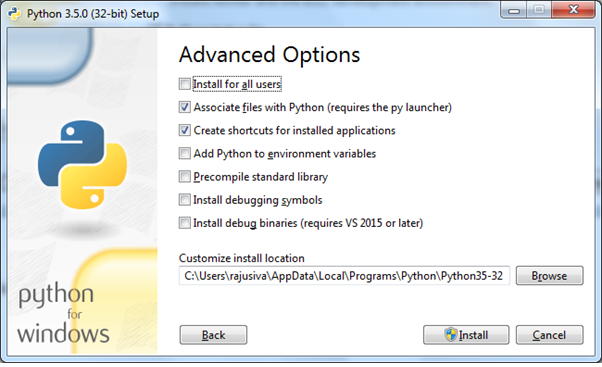 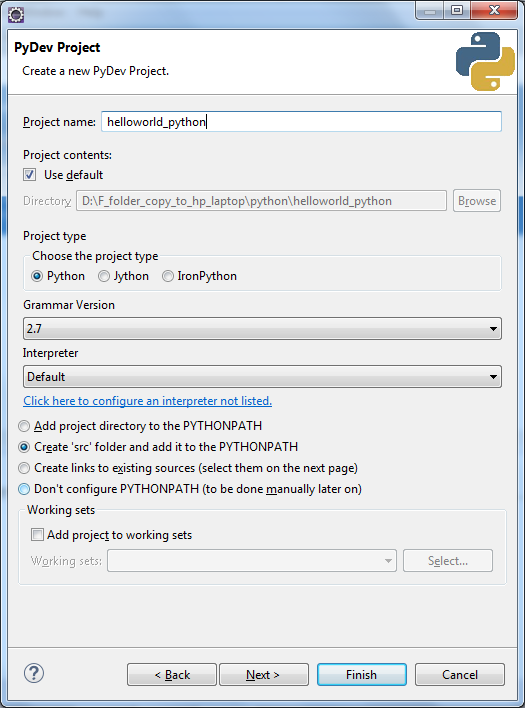 Step 14: Need to configure python in eclipse. Python plugin has been configured in your eclipse successfully. Step 17: Now python project created. 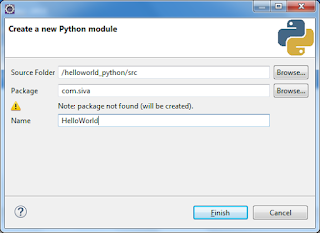 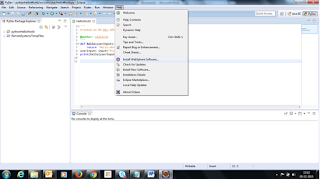 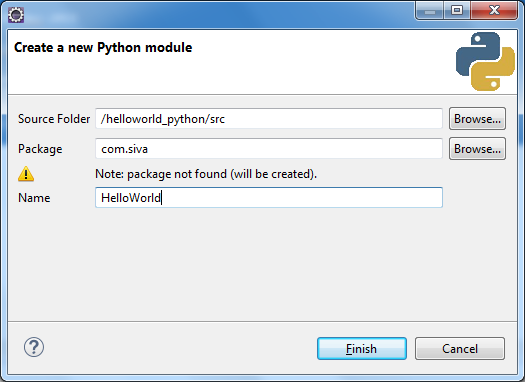 Need to create Python Module in order to start the coding.